يقع فندق Edgewater Hotel، المصمم ليناسب كل الضيوف سواء كانوا من رجال الأعمال أو السياح، في مكان ممتاز في أحد أكثر المناطق تفضيلاً في City Center. يجذب هذا الفندق ذو 4.5 نجوم، والذي يبعد 2.6 km فقط عن وسط المدينة و 75 km عن المطار، الكثير من الزوار سنوياً. كما يمكن الوصول بسهولة إلى Roys Bay, ‪Beacon Point Walk‬, The Picture Lounge. إن الخدمات الممتازة وحسن الضيافة العالي في Edgewater Hotel تجعل إقامتك تجربة لا تنسى. يمكن لضيوف الفندق الاستمتاع بالميزات التالية على أرض الفندق: مرافق مخصصة لذوي الاحتياجات الخاصة, تخزين الأمتعة, واي فاي في المناطق العامة, صف السيارات, خدمة الغرف . بالإضافة لهذا,تتضمن كل غرف الضيوف مجموعة واسعة من وسائل الراحة . بعض الغرف توفر حتى تلفزيون بشاشة مسطحة, غرفة معيشة منفصلة, غرف لغير المدخنين, تدفئة, خدمة الإيقاظ لإرضاء أكثر الضيوف تطلباً. إن حوض استحمام ساخن, ساونا, مسار جولف - ضمن 3 كم, سبا, ملعب تنس هو المكان الأمثل في الفندق للاسترخاء وتفريغ طاقتك بعد نهار طويل. إن كنت تتطلع إلى إقامة مريحة وهادئة في واناكا، فستجد في Edgewater Hotel بيتك الثاني. تتمتع جميع غرف الفندق/الاستوديو بإطلالة على البحيرة، وتتوافر فيها شرفة خارجية (الطابق الأول) أو فناء (إذا كانت في الطابق الأرضي). It’s a little far from main town, Making it worth the place & rating! It’s a beautifully built property; I would have liked to get a bigger room though - room sizes are pretty small but have got nice views of the lake! Loved the location and setting! Room was very nice and comfortable with beautiful views. We loved the walking trails and nearby hiking. It was nice having a kitchenette, and it was well appointed. We enjoyed the hot tub one evening. They were accommodating to special requests. We would definitely stay here again! Room is clean,spacious and comfortable. It provides everything we need during the stay from cooking to laundry. Easy walk from room to the lake. The resort is quite near the lake of Wanaka. The beautiful sense is just available with opening your door. You directly walk to the lake from rooms through grass. The facility however is not as good as its lake view. And the food they provided is not that more than expected, according its price. In all, you would not regret for choosing it in Wanaka, if you are ok with its price. 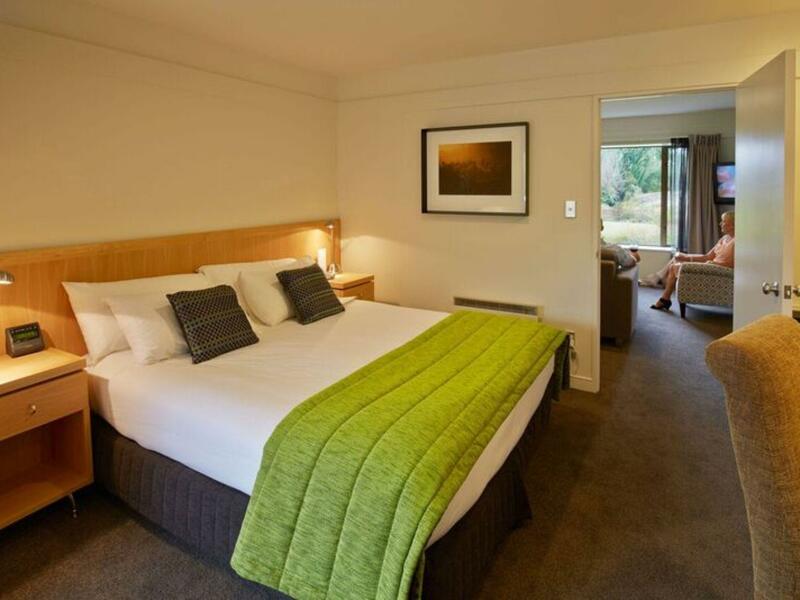 The hotel room we had was cosy, clean and had a fantastic view of Lake Wanaka. We loved the place so much that we extended our stay in their Suite rooms which we loved even more! The only downside about our stay was the lack of wifi and weak wifi signal at times! We wished we had more and better wifi to upload and share our wonderful stay at Edgewater with our friends and family back home! We had a room with a very nice view of the lake. The have large lawn so that you can walk to the lake walk directly. 5 minutes drive to the town and restaurant which is not far. Room is not very large but with nice bathroom. You have everything you need in the guestroom. The title says it all. It doesn't get much better than this :) Almost perfect, but then again who is ever perfect, we are all humans. Bravo to this excellent establishment. The only thing that if anything would be the check in time be a little more flexible especially when we had not very mobile parents who were very tired after a long journey and had wanted to just check in and rest a little earlier. Only stayed for 1 night but couldn't really find any issues. The hotel is in a beautiful setting with about a 20 minute walk into Wanaka. Rooms are spacious and clean. Being picky, the internet was not particularly strong in my room which was some way from reception - this may have been the reason! A lovely hotel for a relaxing stay... no need for special activities. All you need to do is walk, sail, go into the small shopping area or any other number of sports options. Rippon Winery next door is lovely. A fantastic one night stay, although I reckon one should stay here for at least 3-4 days. Just walking out on to the lawn from your living room is sheer joy, the experience is fantastic. The walking and cycling track around the lake is a great activity to indulge in any time of the day! A very well equipped kitchenette, an awesome retro alarm clock, spare quilts and heater take care of all necessities. I just wish the staff would help in carrying your luggage to your room, it was OK for me, I wonder how that would work for an elderly couple. Shall definitely stay here again. Absolutely loved it! 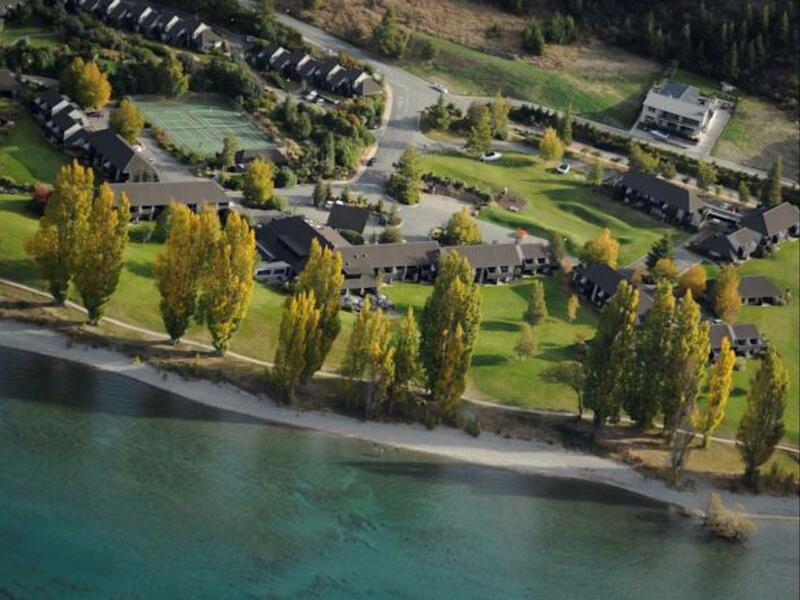 My husband wants to go back to Wanaka just to stay in this hotel. We were there on New Year’s Eve. Had a good view of the new year fire works, close to the city, the solitary tree is right next to the hotel. You get a good view of the mountains and the lake: room was super clean. My daughter enjoyed sitting in the nook and watching the birds and swans roam around the garden. The bed was cozy, the kitchen was spacious. Absolutely loved my stay there!! Extremely uncomfortable bed - it sinks in the middle causing backpain. No lift so we had to carry huge luggage up the stairs ourselves.